Marty’s photo of the day #2583: I was flipping through my photo files this morning, trying to decide what to post, when I came across this shot. Several years ago, I helped with an after school program at the Stevensville, Montana library. 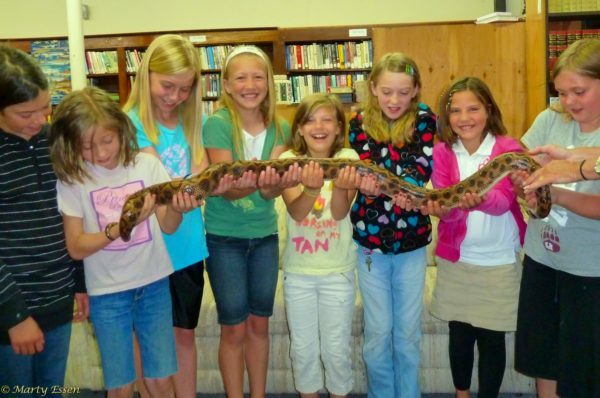 The kids are holding Eve, my seven-foot-long rainbow boa. Most were touching a snake for the very first time and were surprised that Eve wasn’t scary or slimy. Instead, she was friendly, warm, and dry. Eve and I need to get out and do events like this more often.